The Boru 7Kw inset stove is a feisty one. It will fit into your standard open fireplace. It has a massive output of 7Kw. 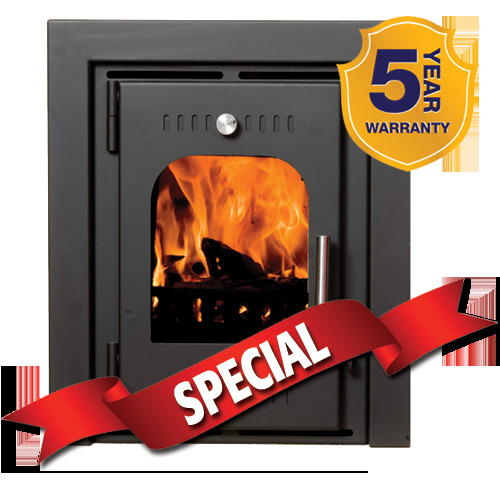 With it's natural convection you can be sure your hard earned cash is not going up the chimney.